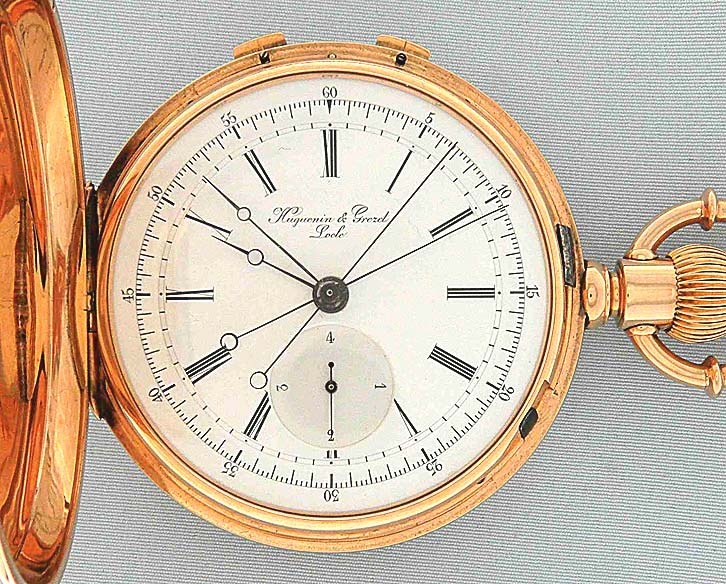 Very fine Swiss 18K gold split second chronograph with jumping 1/4 seconds by Huguenin and Grezel, Locle, circa 1882. 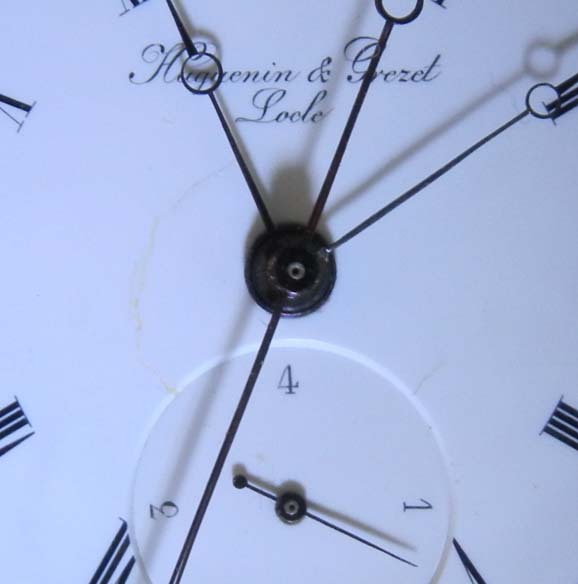 Fine white enamel dial (filled crack) with black markings, subsidiary fourth seconds indication, and blued steel hands. 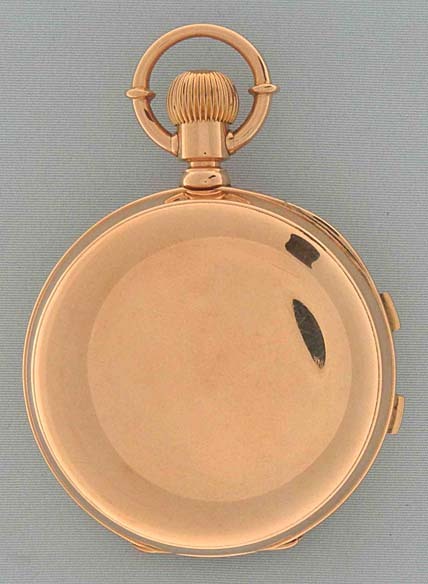 Plain polish heavy J & S case (minor dings) with chronograph buttons in the band which starts, stops, and splits the hands. 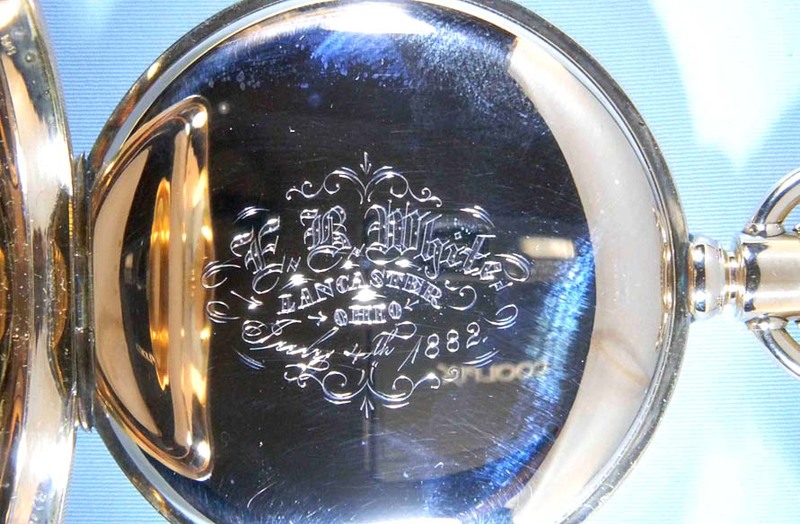 First quality 29 jewel tandem wind nickel movement. This watch can time two separate events. When one button is depressed the chronograph starts. When the other button is depressed the chronograph hand splits and one of the hands stops. The other hand continues until the first button is pushed again. This watch is actuate to 1/4th of a second, and when the chronograph is running the subsidiary hand jumps very quickly making one revolution per second. This makes it easier to tell the time to the correct fraction of a second. 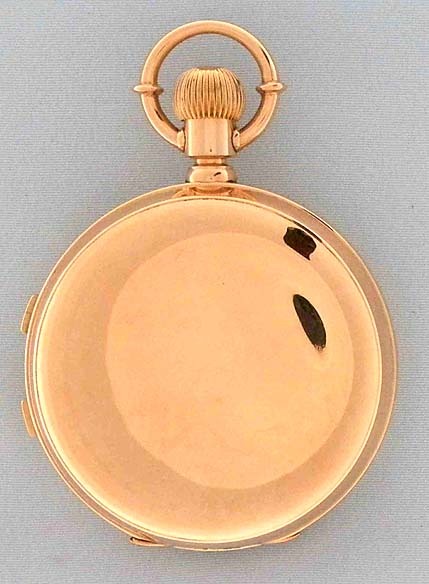 Jeannot & Shiebler was a well-respected manufacturer of fine solid gold watch cases in New York City. 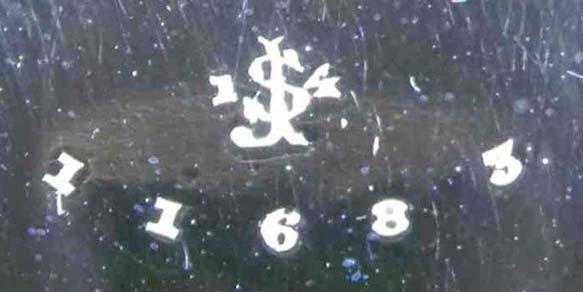 Their trade mark was a 'J' superimposed over an 'S' with either 18K or 14K. Numerous movements that were sold without cases by Patek, Lange, and many other prestigious makers can be found in their original JS cases. 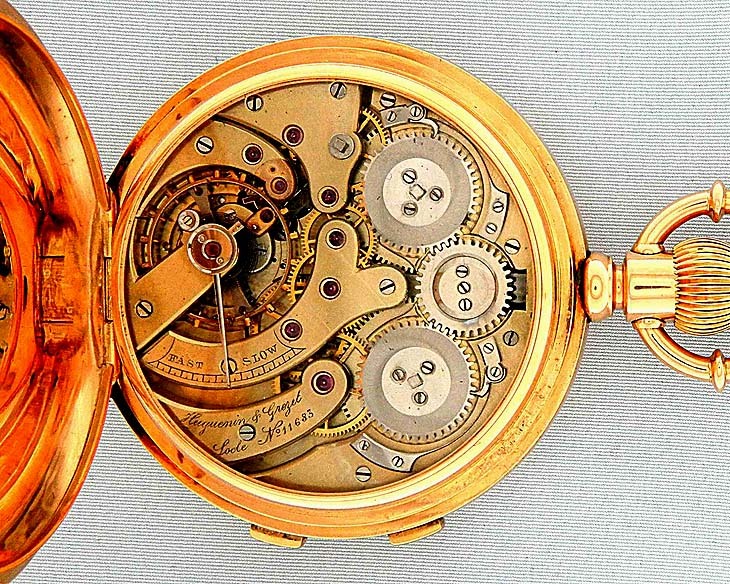 The movements were sold without cases to avoid very high import duties on complete gold watches.